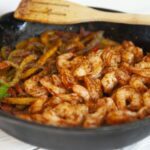 This Shrimp Fajitas Skillet recipe is a delicious dinner with shrimp cooked in homemade spices with green, yellow and red peppers, served wrapped in tortillas. 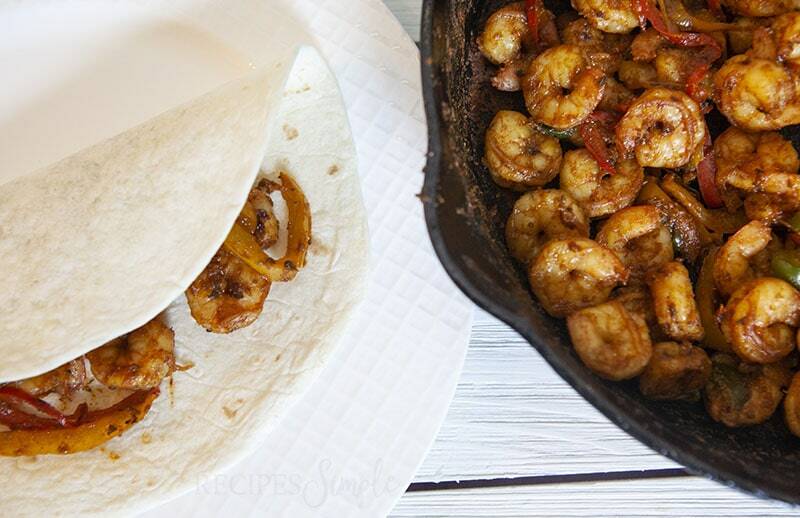 These skillet shrimp fajitas is a recipe you need to try! 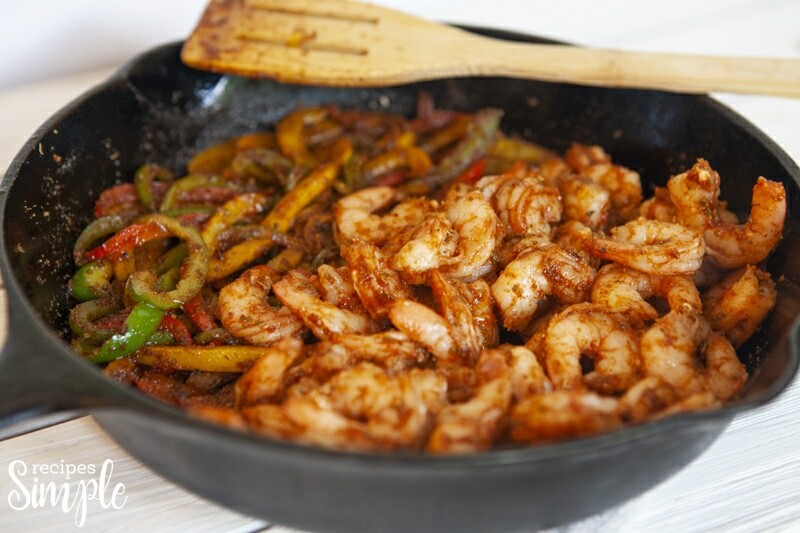 The fajitas seasoning is the perfect combination of spices to give the shrimp lots of flavor. 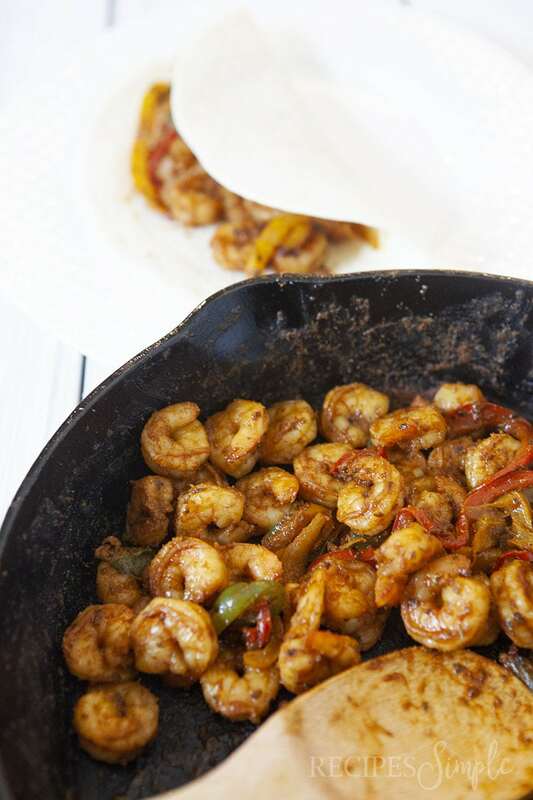 We love shrimp at our house and we love fajitas. 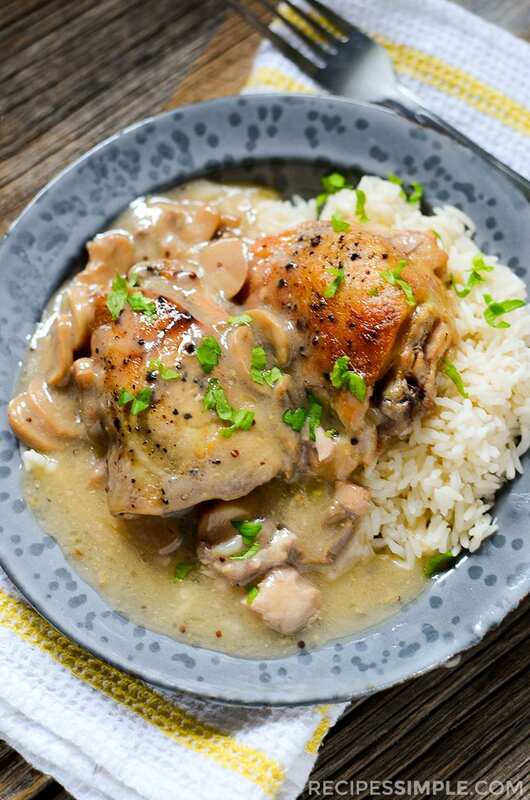 This recipe combines our two favorites into one dish and makes everyone happy! 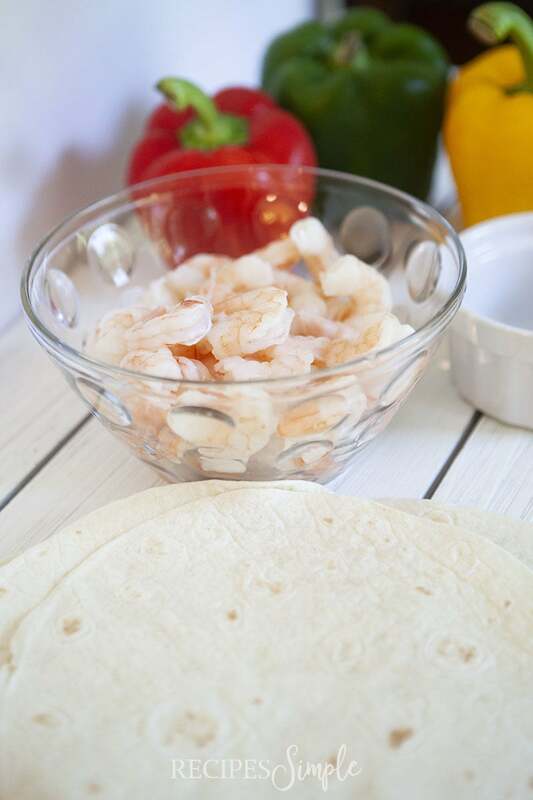 Shrimp Fajitas are great wrapped in tortillas, served over rice, in lettuce wraps, in a salad, with a side of rice and beans or over cauliflower rice. So many options! You can add onion slices to the peppers if you like onions. You can switch out the green peppers for orange peppers if you don’t like green onions. This recipe is very versatile and easy to make it using ingredients you like. 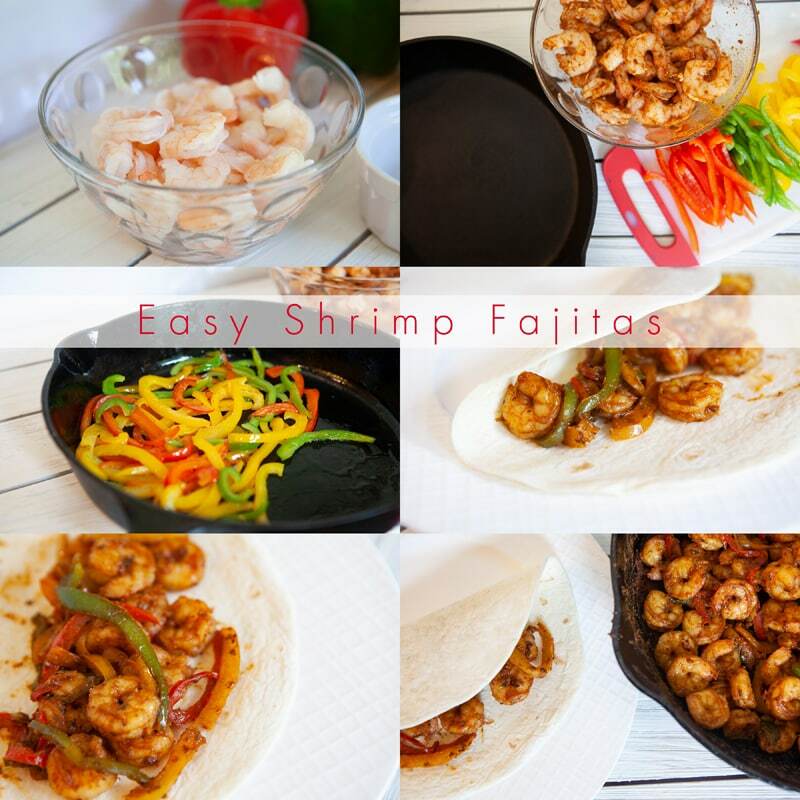 Scroll to the bottom for the printable Shrimp Fajitas recipe! 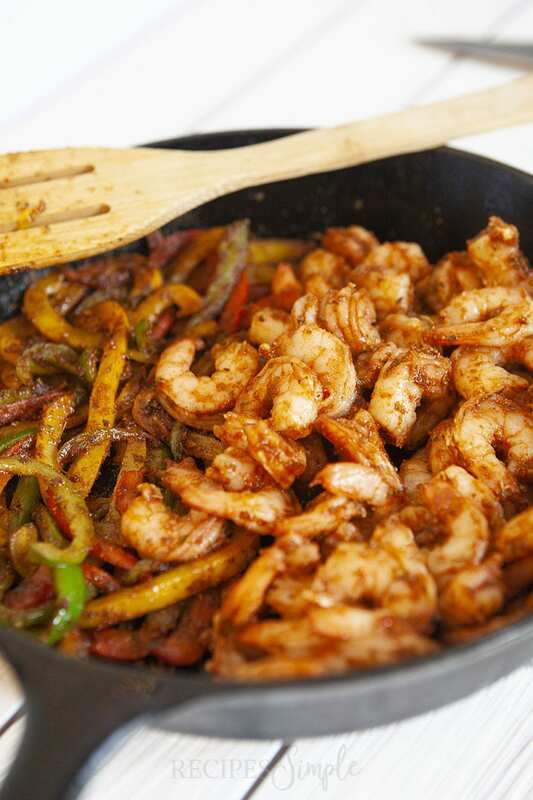 To make things easier in the kitchen while you make these skillet shrimp fajitas, make sure you gather your ingredients first. It makes it go a little faster. 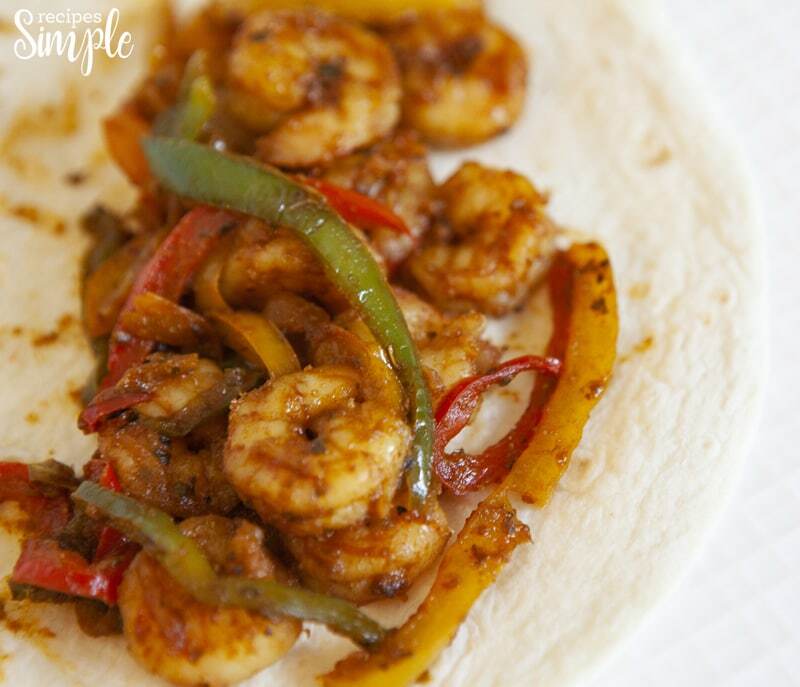 You’ll need paprika, cumin, dried oregano, onion powder, salt, olive oil, green pepper, yellow pepper, red pepper, shrimp, and flour tortillas. 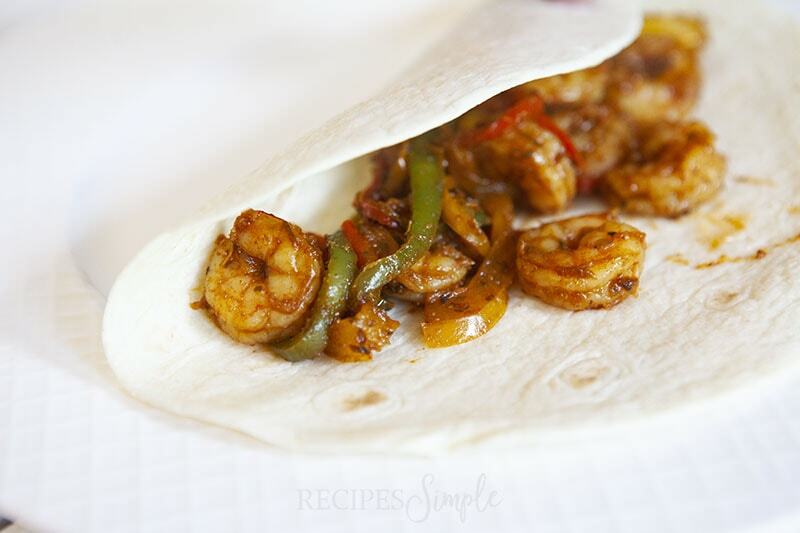 You can use store bought tortillas or make your own. 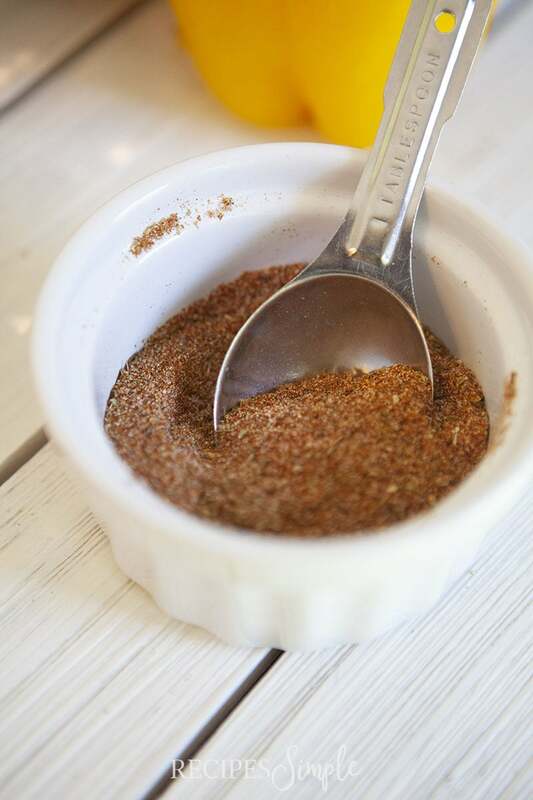 To get started, combine all your seasonings in a small dish and mix well. 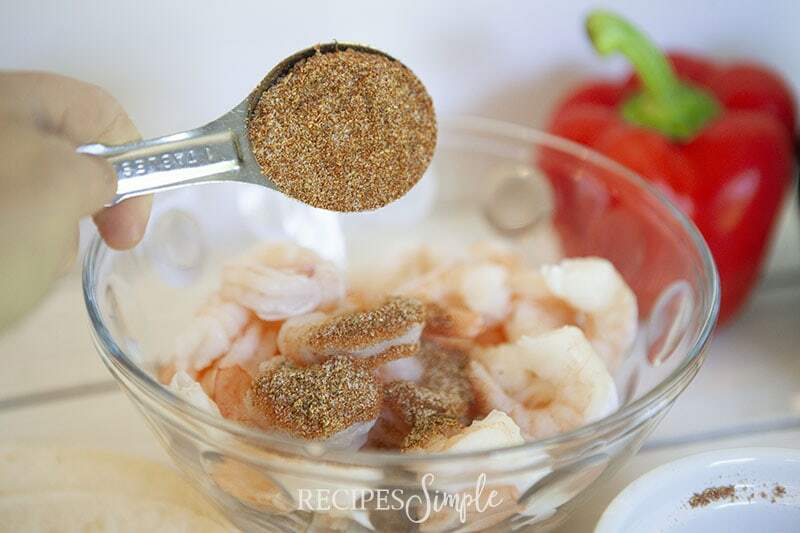 In a separate bowl, add half of the seasoning mixture to the shrimp and toss until shrimp is well coated and set aside. Heat one tablespoon olive oil in a large cast iron skillet until hot and then thinly add sliced peppers and cook for 5 minutes, until tender. Add remaining seasonings to cooked peppers and mix well. Add another tablespoon of olive oil and then add the shrimp and mix well. Cook for approximately 4 minutes or until pinked and cooked thoroughly. Serve on warm tortillas and serve with your favorite toppings and lime wedges. Enjoy! In a medium bowl, combine all seasoning and mix well. Heat 1 tablespoon olive oil in a large cast iron skillet until hot and then thinly add sliced peppers and cook for 5 minutes, until tender. 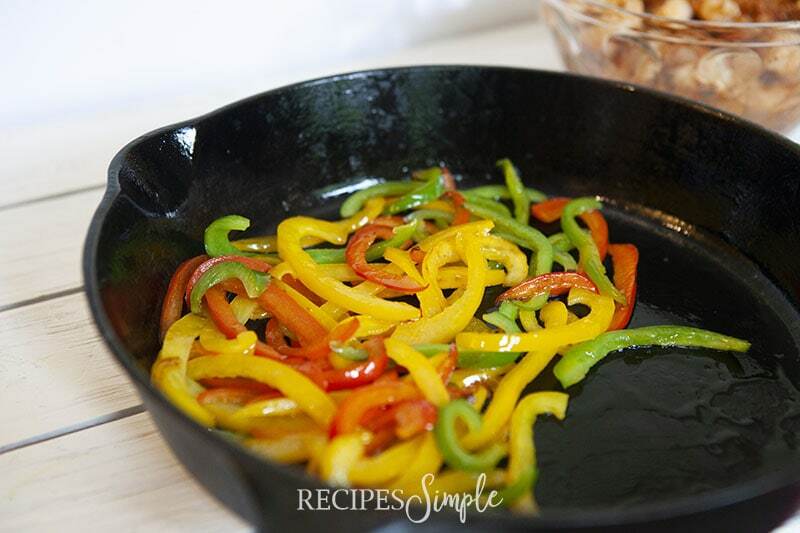 Add remaining seasonings to cooked peppers and mix well. Serve on tortillas and top with cilantro, sour cream, and cheese, if desired. Serve with your favorite toppings and lime wedges. 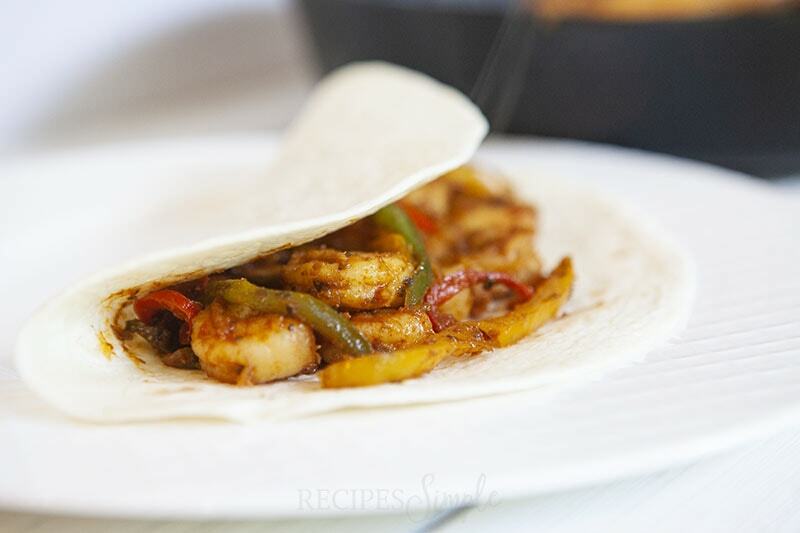 If you enjoyed these easy shrimp fajitas, you’ll love this slow cooker mushroom mustard chicken recipe! 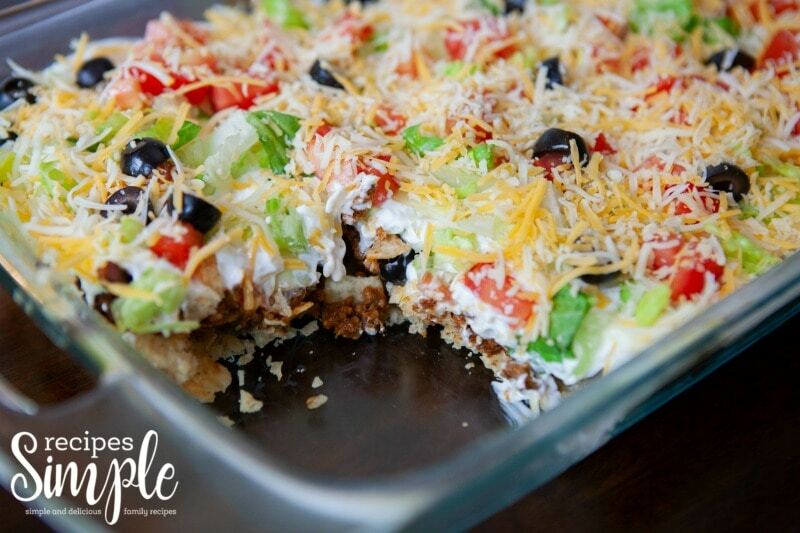 Or how about this easy taco casserole recipe?